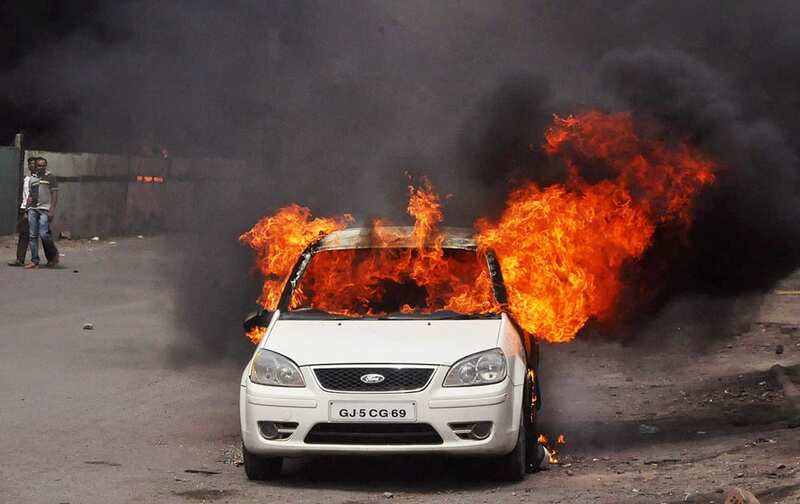 A car that was set on fire Patidar community agitating for resarvation in Surat. 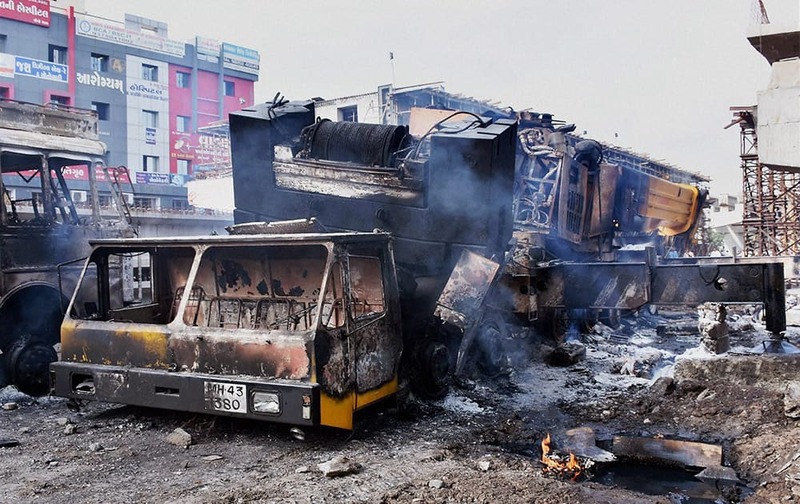 The charred remains of the vehicles in Bapunagar area of Ahmedabad which were set on fire after the incidents of violence following the Patel (Patidar) communitys reservation rally. 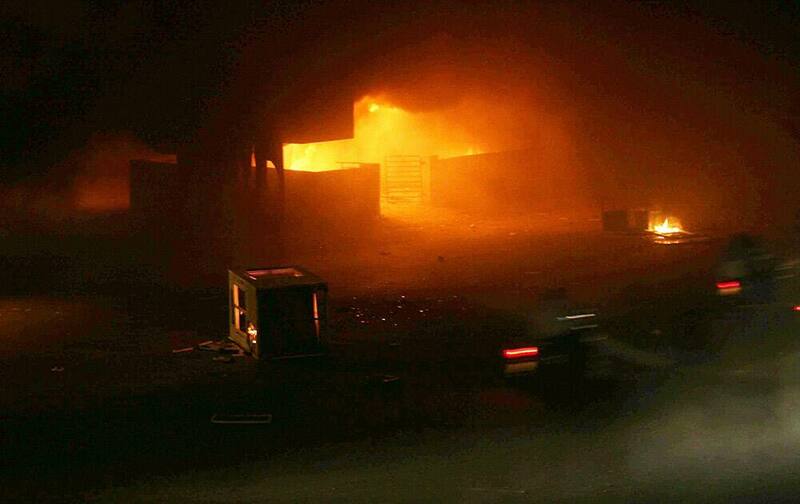 Patel community supporters set ablaze earth movers in Surat on Wednesday. Patel community is agitating for OBC status. 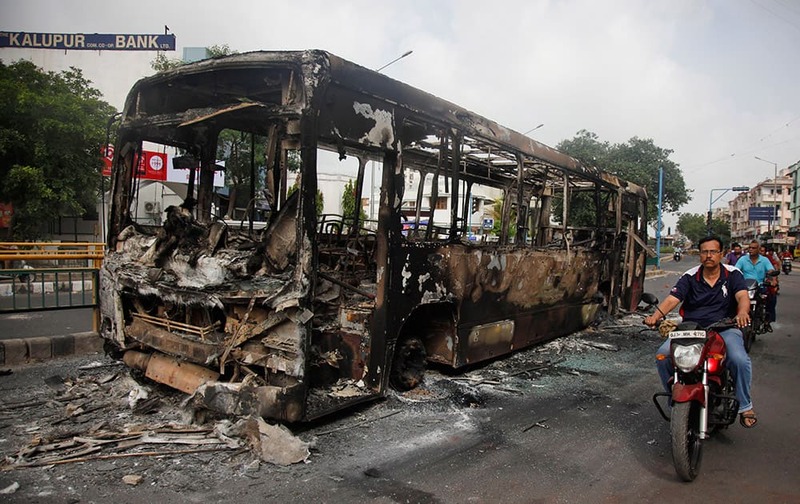 Commuters pass by a damaged bus which was set on fire during clashes in Ahmedabad. 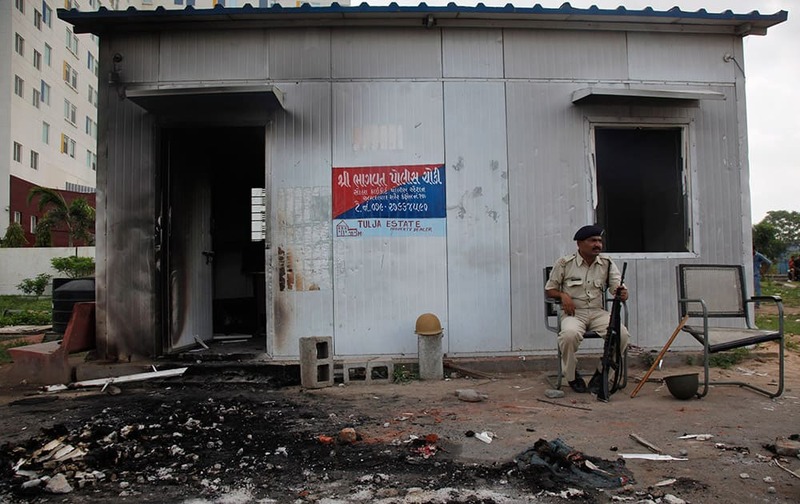 A policeman sits outside a damaged police post that was set on fire during clashes in Ahmedabad. 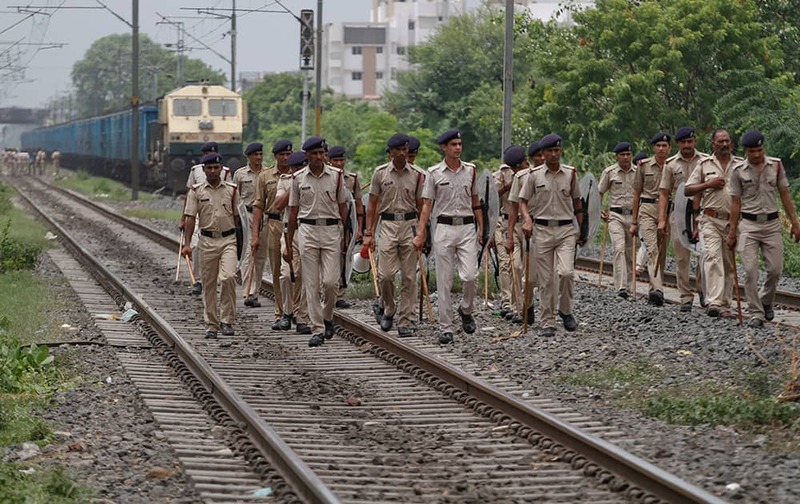 Railway police personnel patrol after a mob stopped trains and damaged tracks in Ahmedabad, India. 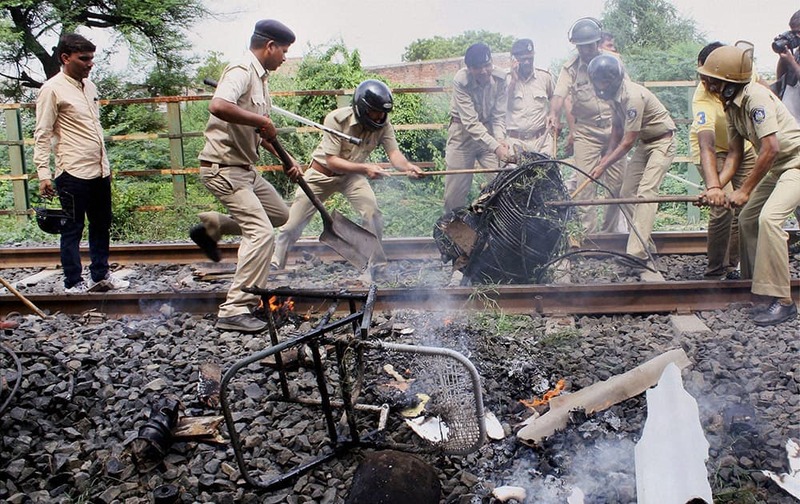 Police force clearing a railway track that was blocked by agitating Patel community in Ahmedabad. 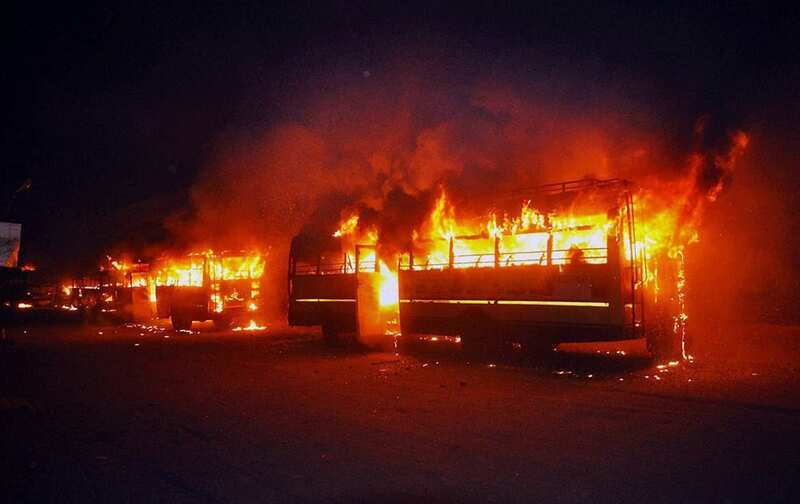 Buses set on fire in Surat on Tuesday night by people after the arrest of Hardik Patel, convener of Patidar Anamat Andolan Samiti. 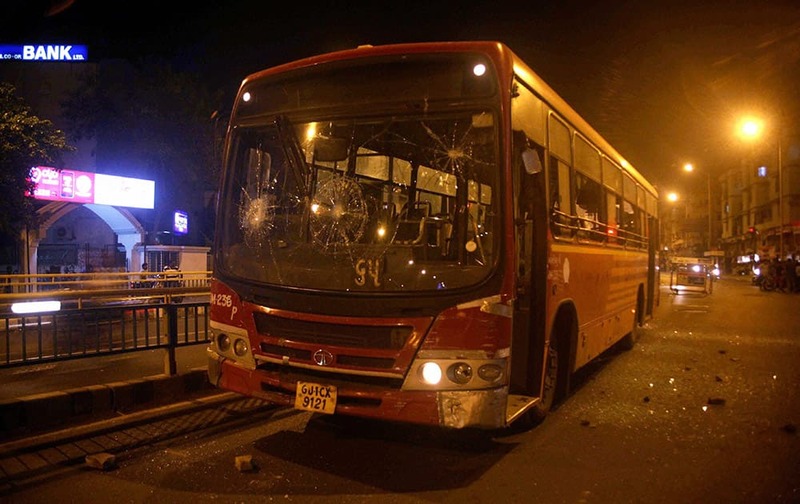 A bus damaged by people after the arrest of Hardik Patel, convener of Patidar Anamat Andolan Samiti, in Ahmedabad. 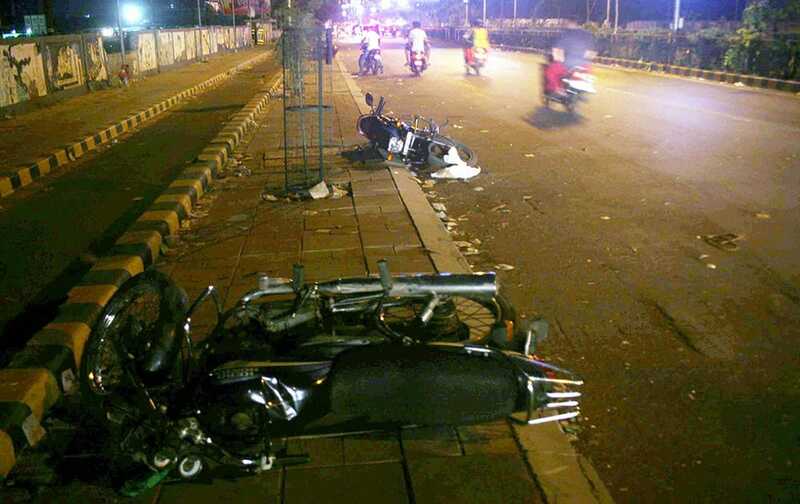 Motorbikes damaged by people after the arrest of Hardik Patel, convener of Patidar Anamat Andolan Samiti, in Ahmedabad. 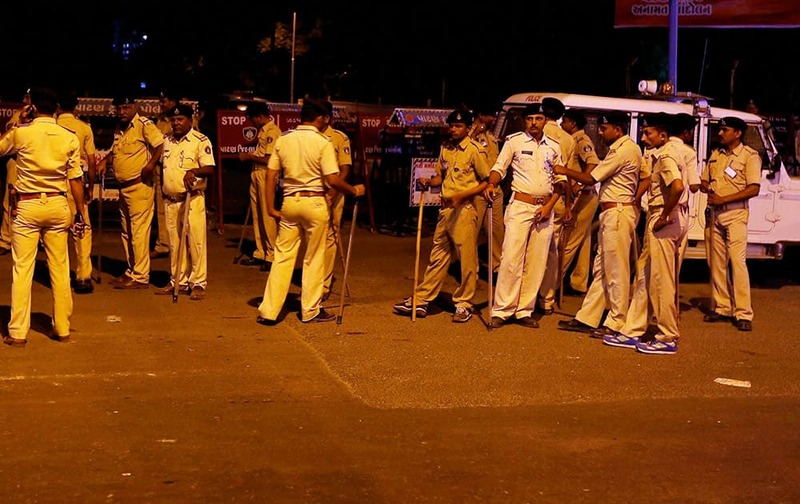 Policemen patrol on a street to nab people damaging vehicles after the arrest of Hardik Patel, convener of Patidar Anamat Andolan Samiti, in Ahmedabad. 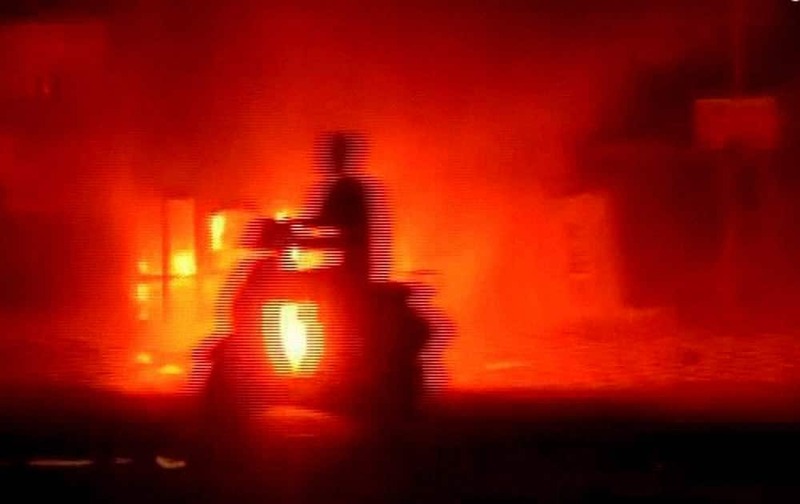 TV Grab- A biker moves past a burning vehicle set on fire in Ahmedabad on Tuesday by people after the arrest of Hardik Patel, convener of Patidar Anamat Andolan Samiti. 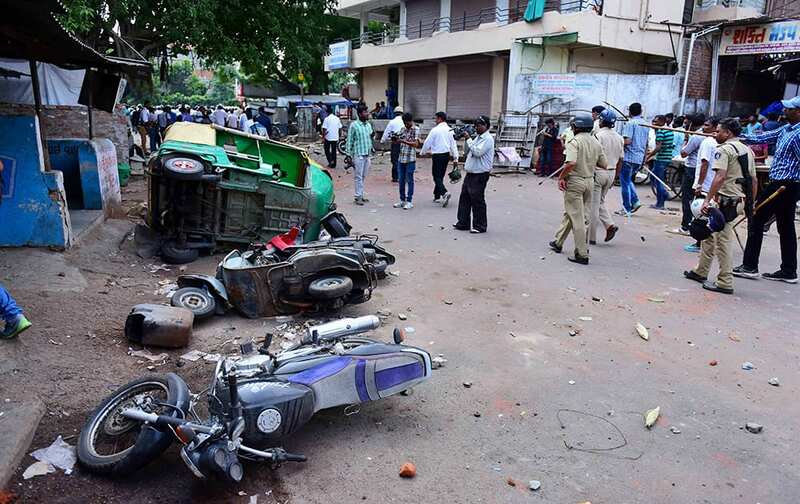 A police post set on fire by people after the arrest of Hardik Patel, convener of Patidar Anamat Andolan Samiti, in Ahmedabad. 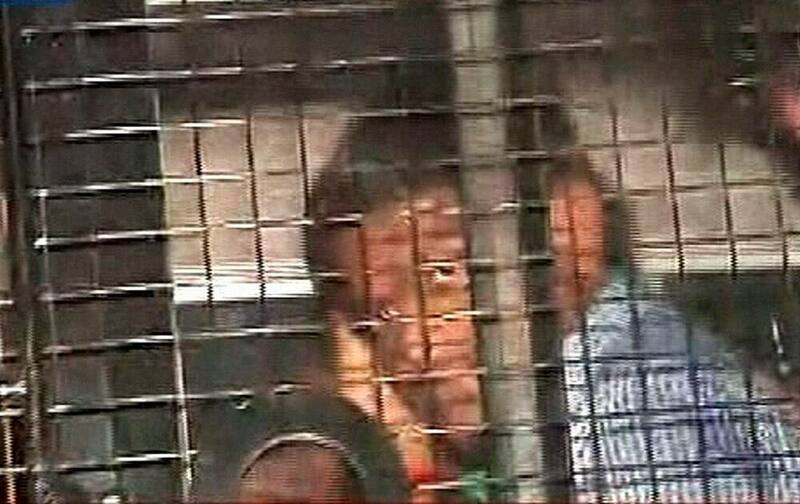 TV Grab- Hardik Patel, convener of Patidar Anamat Andolan Samiti being arrested by police during the Kranti rally (revolution march) organised by the Patel ( Patidar) community to press their demands for reservation, at GMDC Ground in Ahmedabad. 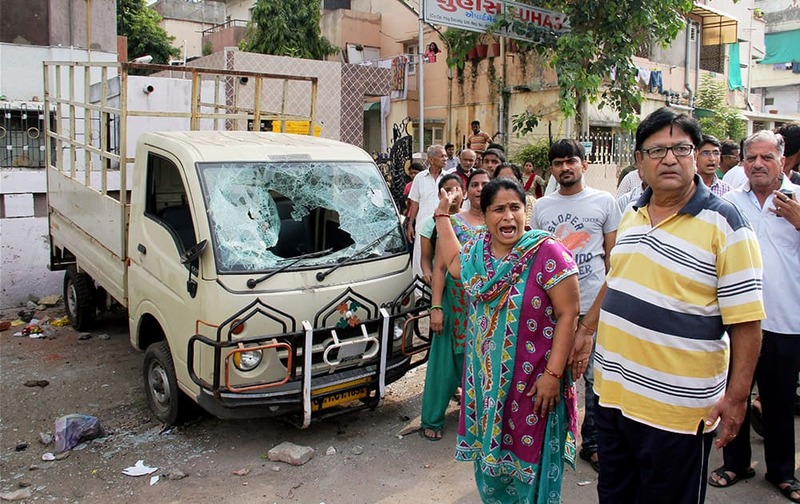 People stand in front of a damaged vehicle after violent clashes between Patel community and OBC members at Juna Wadaj locality in Ahmedabad. 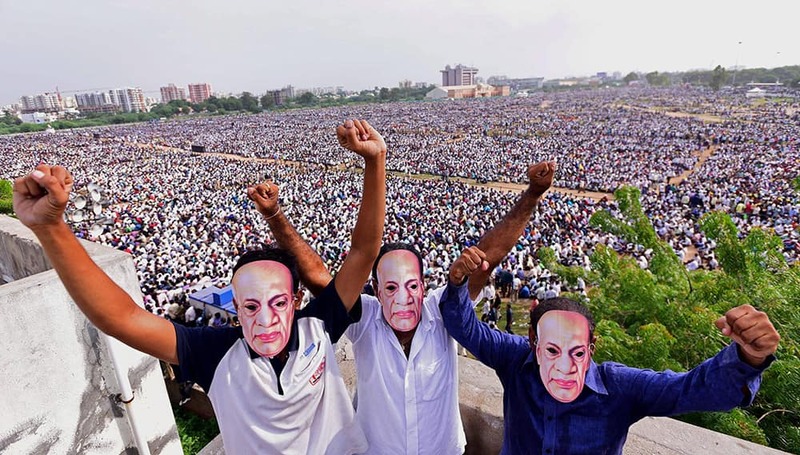 Members of Patel (Patidar) community wearing mask of Sardar Vallabhbhai Patel during the Kranti rally (revolution march) to press their demands for reservation, at GMDC Ground in Ahmedabad. 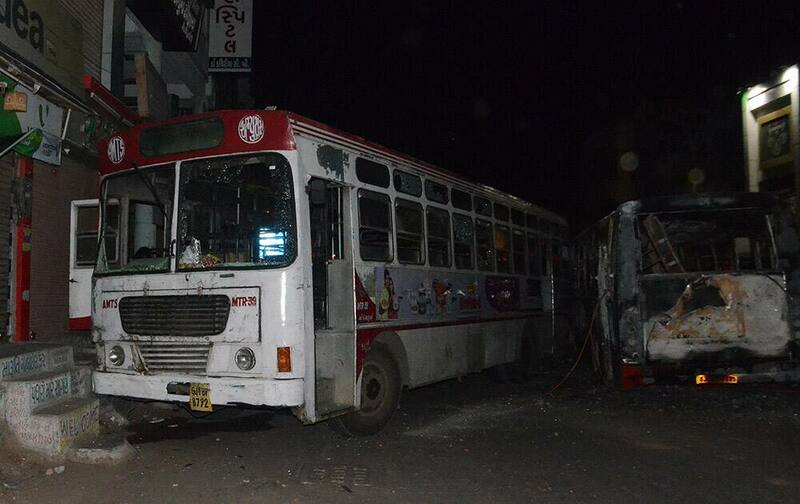 Police charge Patel community members after their agitation for reservation turned violent in Ahmedabad. 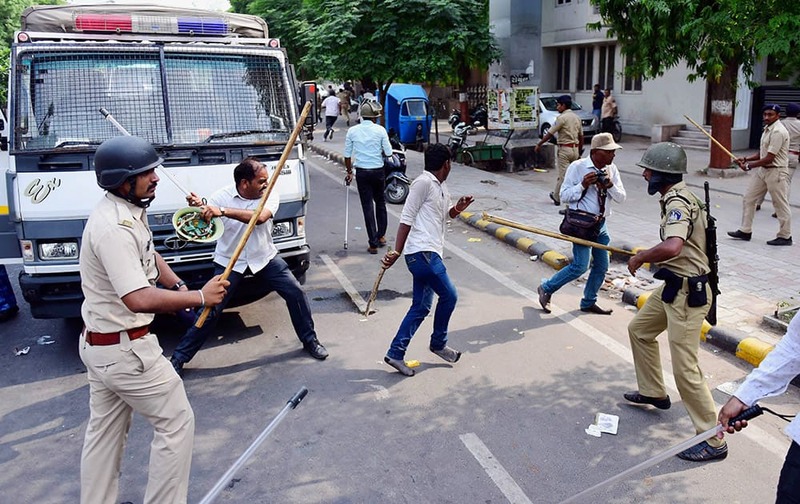 Police lathicharge Patel community members after their agitation for reservation turned violent in Ahmedabad. 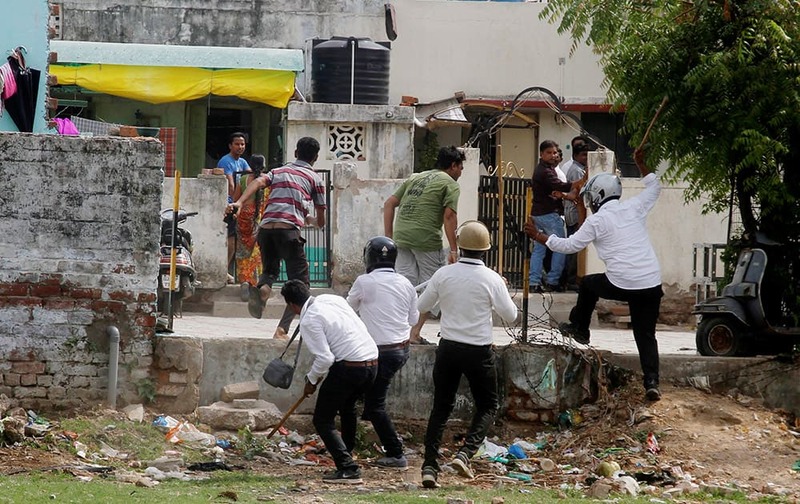 Police resort to lathicharge after violent clashes between Patel community and OBC members at Juna Wadaj locality in Ahmedabad. 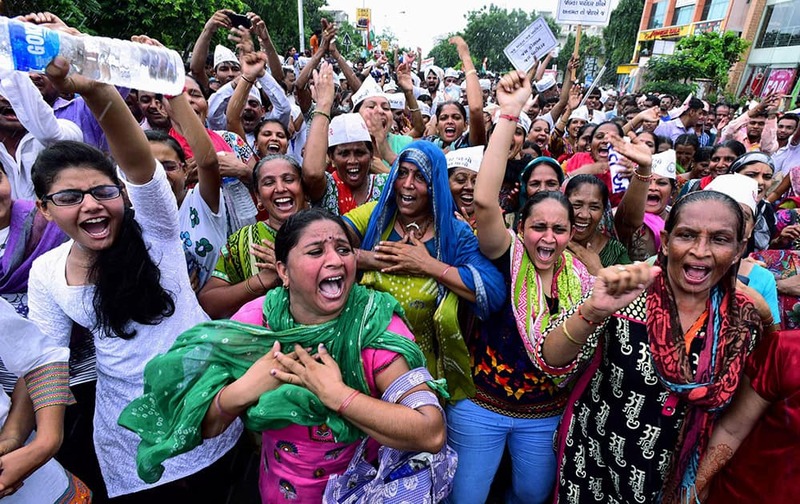 Female members of Patel (Patidar) community holding placards, raise slogans during the Kranti rally (revolution march) to press their demands for reservation, at GMDC Ground in Ahmedabad. Patidar community leader Hardik Patel leading a rally for reservation in Ahmedabad. 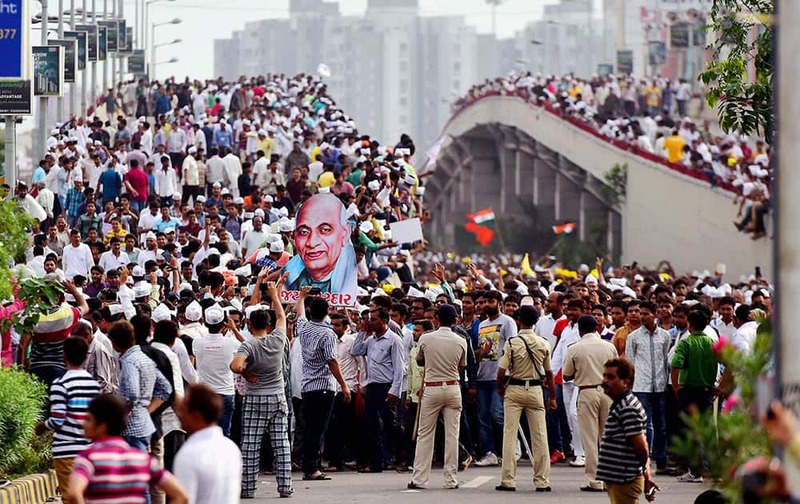 Members of the Patel (Patidar) community carry a cut-out of Sardar Vallabhbhai Patel during a meeting and mega rally to press for their demands of reservation. 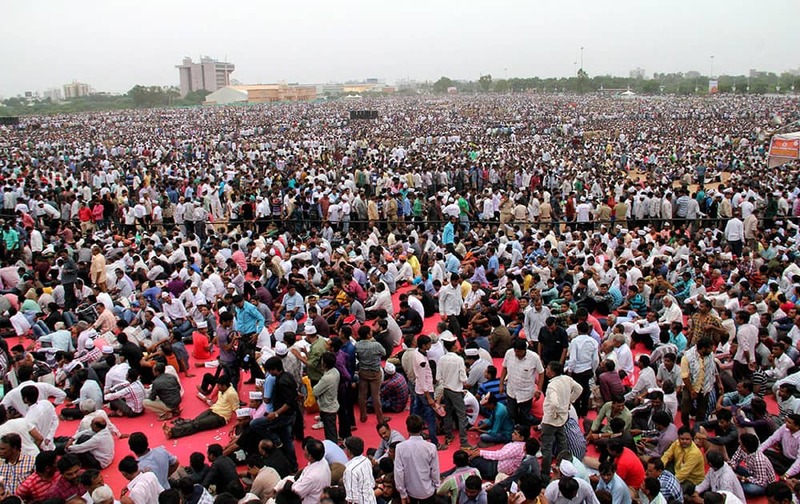 Mass gathering of community members at the meeting and mega rally organised by the Patel (Patidar) community to press for their demands of reservation, at the GMDC ground in Ahmedabad. 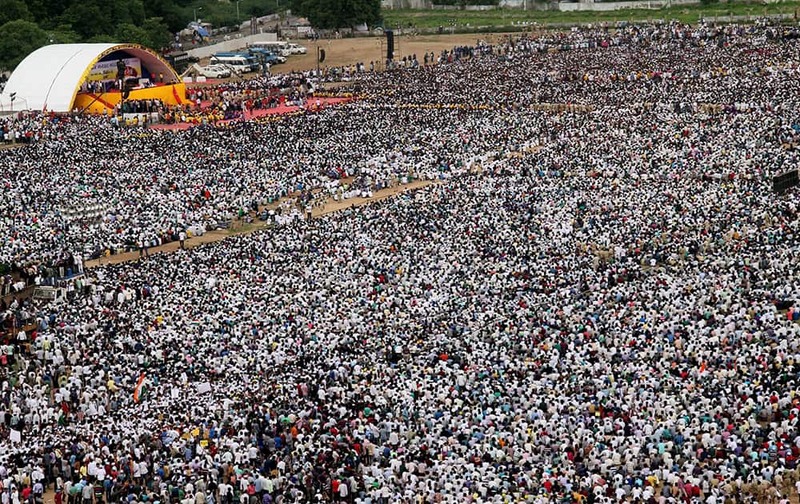 Mass gathering of people from Patel (Patidar) community during the 'kranti rally' or revolution march to press for their demand for reservation. 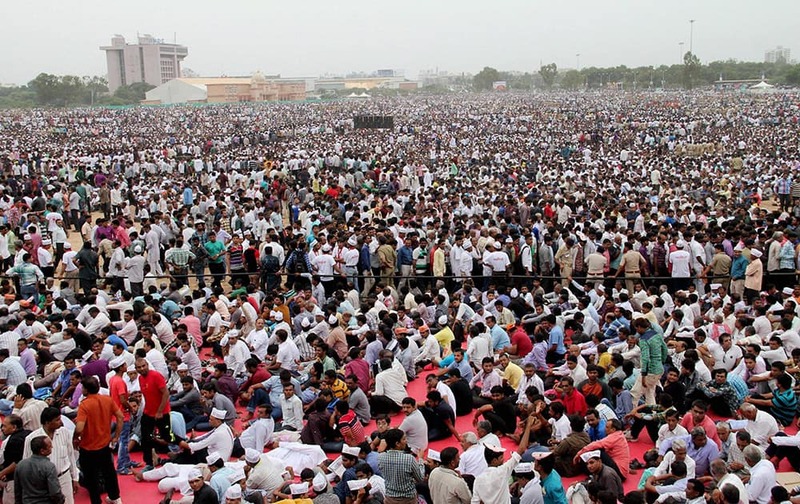 Huge gathering of community members at theKranti rally (revolution march) organised by the Patel ( Patidar) community to press for their demands of reservation, at the GMDC ground in Ahmedabad. Leaders from Patel or Patidar community raise their hands attending a reservation rally led by Bardik Patel (center) at Bapunagar in Ahmedabad. 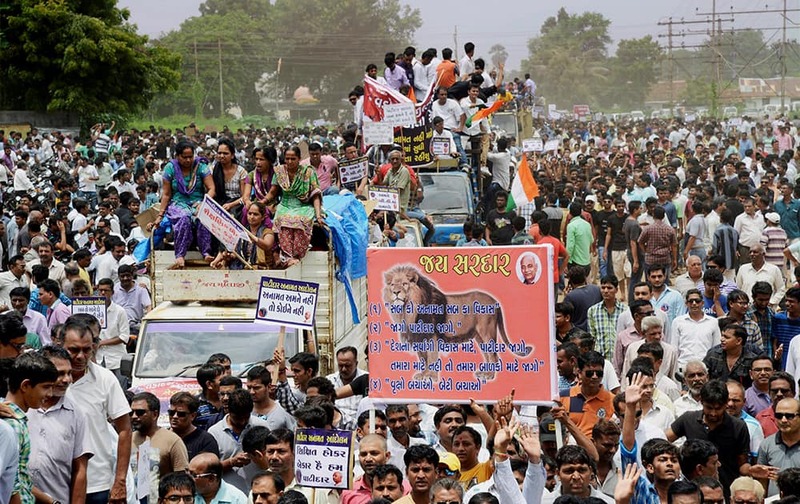 People from Patidar or Patel community hold placards and shout slogans during a protest rally demanding reservation for their community in Vadodra.